Classic studs with a unique new design! This pair of sterling silver earrings is made with a round-cut cubic zirconia. 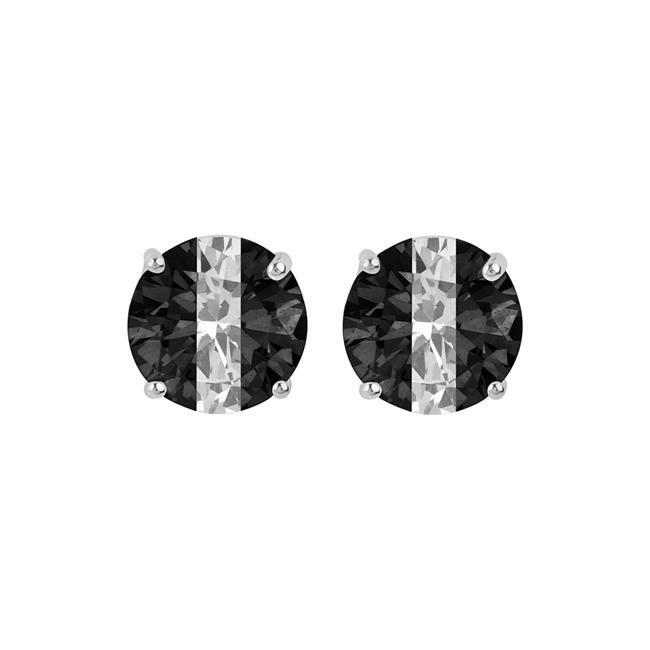 Each CZ is a single stone with a black design and a clear stripe in the center. This pair measures 5 mm wide making this set 1 1/2 carat TGW. The earrings are completed with a comfortable friction-back butterfly closure.